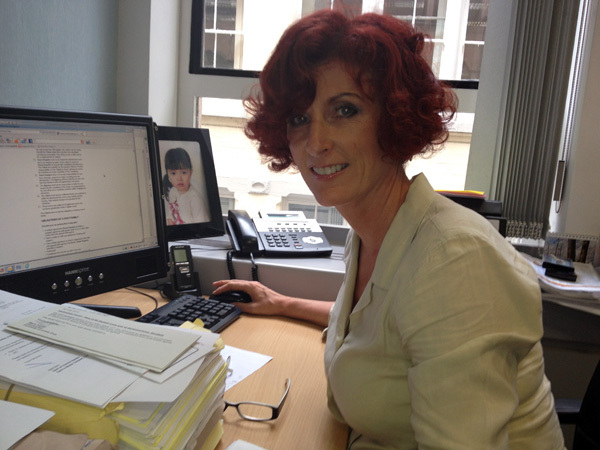 I am Colette Cooper, a former Legal Advisor in the Civil Service with many years experience specialising in Criminal, Family and Licensing Law. I am married to a lawyer and we have a daughter aged six. As a working mother I have always employed the services of an Au Pair to relieve the pressure of childcare arrangements. I can honestly say it can be a most fulfilling and enriching experience with the right Au Pair. This is where I can help as i understand exactly what is required and is to be expected of your Au Pair and will be on hand to help resolve any issues that may arise. My Spanish business partner, Arancha, herself a former Au Pair (now an English teacher) and myself make a good team as we have a shared experience from both persepectives. I hope this reassures you of our boni fides, if so you can call me on +44 07414724447 or if you prefer email me at bestaupairbarcelona@gmail.com and i will be happy to assist with any queries you may have. We are an Agency run by Aránzazu Vicente Rincón, graduated in English Language, Education Science and have a Master in Communications Management and Public Relations. My professional experience involves Translating and Teaching languages.The afore mentioned has allowed me to participate in exchange projects with schools in other countries in which I have given ideas and undertaken tasks of translation and public relations, bringing together communities with different spoken languages. I also had the chance to live for two years in English speaking countries: England, where I worked as an Au pair for a British family and as a Spanish Language Assistant in Reigate Grammar School (Surrey) and in California (USA) where I worked as a bilingual teacher for the American district West Contra Costa in Richmond school. Sofía Herreros Vicente, student of Education in “Universidad Autónoma” in Barcelona. She has also worked as an Au pair in England (2010-2011) for a British family. She had a very positive experience with the host family and was able to develop her knowledge of English language and culture. Collaborating company with Erasmus Entrepeneurs. We speak English, Italian, Spanish, Catalan and German.